There has been plenty of coverage on hyper-converged infrastructure solutions over the last year. Enterprises are realizing the benefits of hyper-converged technologies such as improved storage performance, capacity/scale, mobility, access speed etc. The technology which primarily includes virtualization software, server, storage and network switching all in a contained x86 based appliance is gaining significant traction. SimpliVity just announced it is seeing accelerated demand for its hyper-converged infrastructure solutions in the first half of 2015, and as of June 30, sales bookings increased by nearly 250% YoY. Hyper-Converged Infrastructure technology eliminates the need for traditional storage arrays. The hypervisor has direct access to storage resources and therefore performance benefits are achieved. 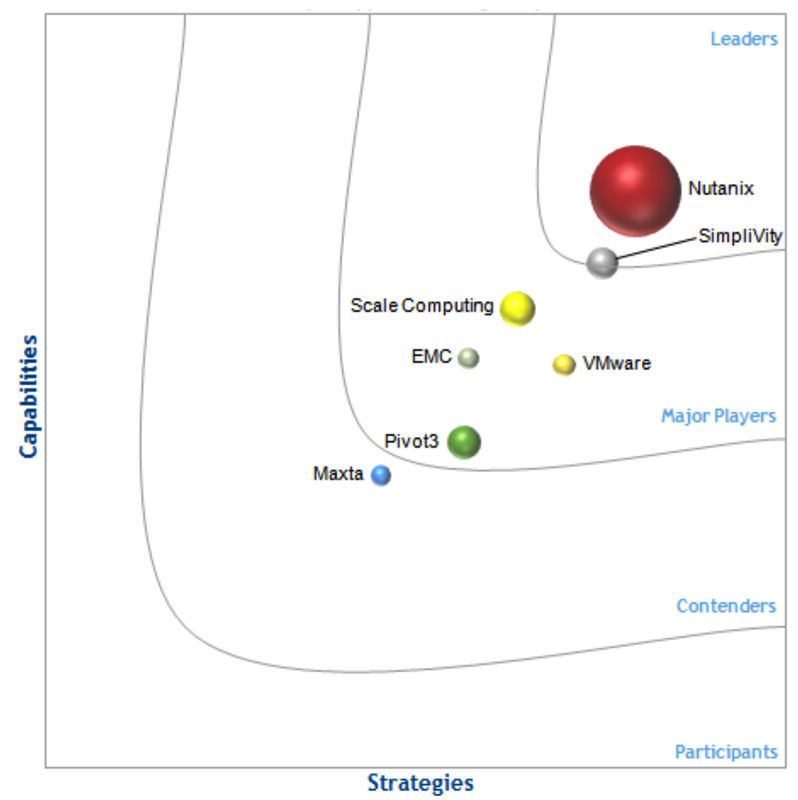 Companies such as Nutanix, SimpliVity, Scale Computing,NimBoxx, Pivot 3 etc are leading this arena. VMware joined the Hyper-Convergence space last year. They released VMware EVO:RAIL and partnered with OEMs such as EMC, Supermicro, Dell, Fujitsu etc to offer a vSAN based solution. The technology approaches are heavily contested and just weeks after a public debate on VMware vs Nutanix technologies, VCE announced the new VxRack line of hyper-converged systems at EMC World 2015. As per the company’s product page, SimpliVity’s product portfolio is based on OmniStack software-defined hyperconverged infrastructure. OmniStack software runs as a controller on VMware vSphere/ESXi. Simplivity’s Data Virtualization Platform is an architecture that abstracts the data from the underlying hardware and addresses performance, capacity, mobility, manageability and data protection needs of enterprises. SimpliVity offers Omnicube on standard hyper-converged x86 building blocks and helps customers with cloud management in addition to hyper-converged storage performance. The company also offers OmniStack Integrated Solution based on Cisco hardware and claims to assimilate up to a dozen core data center functions on Cisco UCS C240 rack-mount servers. In a recent announcement, SimpliVity stated deployments of their hyperconverged infrastructure totals more than 2000, with about 550 large and mid-sized enterprises counted as customers, nearly 380% year over year growth. Demand for SimpliVity’s integrated solution with Cisco UCS continues to grow, with 4x the number of deals this quarter compared to Q1 2015. VCloudNews is pretty excited to see such growth and we will be watching the hyper-converged space carefully. We can anticipate some consolidation in this area over time as the big players embrace and drive hyper-converged technology successfully.